There it is- that feeling you get periodically. You know the one. It’s a feeling that is all too familiar to far too many people. It’s that feeling you get when you are the last one picked for kickball on the playground. It’s the feeling you get when you are the only one not invited to the party. It’s that feeling you get when you are cut from the team or didn’t make your musical tryout. It’s the feeling you get as you try to survive the grueling process of applying for college where it seems that you are just another test score with far too many hoops to jump through. Then, it’s the same feeling that haunts you from class to class, staying by your side through practically every semester of college. Have you figured out the feeling yet? It’s the feeling that you are not good enough. I can’t tell you how many times I have been here. I wish I could tell you that it goes away, that eventually you will “grow out of it,” but I can’t. The feeling still haunts me from time to time even though I am in my 40’s. I wish I could tell you it at least gets easier to handle when you are older, but it doesn’t really. You manage it sometimes and sometimes it knocks you on your rear. However, there is one thing that I can tell you…You are not alone. The biggest sting of this feeling is being convinced that we are the ONLY person going through this and everyone else’s life is just peachy. Our enemy (Satan) does his best to deceive, lie, and at least for me, convince me that I am not worthy. One of the most devious parts about this lie is it forces us to take our eyes off of the realization of the cross and focus on ourselves. He causes pain and anguish as I lament what I don’t have and what I am not capable of doing. His lies makes me feel like leftover junk, thrown to curbside to be taken out with the rest of the trash. I have a feeling that the enemy makes you feel the same way too. It is in this deception that I realized a very important truth, however- he’s right. I am not worthy of being called a son of the One True King. But, here is where his plan backfires- I was never required to be worthy. The good news is- my God deals in leftovers. After 10 years of being a student pastor, one of the most common reasons given to me by people who refuse to pull the trigger on accepting Christ’s salvation is the fact they do not feel worthy enough for God’s grace. That’s the beautiful part though- that’s exactly what grace is. God never once expected you to come to Him any more or any less than a broken individual, feeling like leftover junk that no one wants. Yet, like I said, God deals in leftovers. A perfect example of this is found in Matthew chapter 14 as Jesus takes 2 fish and 5 loaves- a small boys lunch- and fed over 5,000 people with this offering. My favorite part of the story is not the miraculous multiplication of the food, my favorite part is found in verse 20 when it says that not only was everyone filled, but they picked up massive amounts of leftovers. 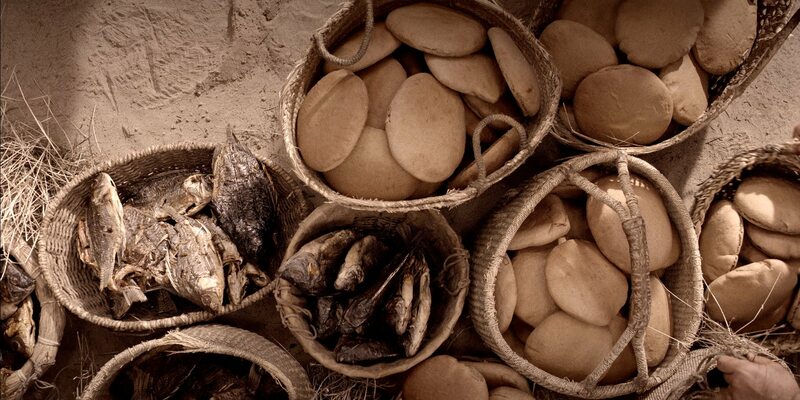 Jesus could have easily multiplied the food to be just enough food for everyone, but He didn’t. Jesus leaves us with a very important message here- He is more than enough. So, the next time the enemy tries to get into your head- and he will- the next time he tries to convince you that you are not good enough, that you are not worthy- keep in mind this: God deals in leftovers like you and me and our Savior is more than enough.